I have a new t-shirt and I am pretty excited about it! The best part…it is my own creation! Ok…so I was going to do a full tutorial, but I am really horrible at remembering to take pictures. I really need to work on that. But until I develop better tutelage habits…here is a less than full tutorial..
ely…which is what I normally do. This was much easier. In addition to the supplies in the first picture…make sure you have snacks. Crafting is always better with Diet Coke nearby. This stenciling is so easy! It is kind of my new favorite crafting tool. I keep trying to find new reasons to use it. The bottom of the C did get a little smudged, but I just did my best to take off the extra paint. No big deal. Step 2: Use Wonder-Under to attach fabric hearts. Sew around the outside to secure. I can’t believe I haven’t done a tutorial on this. I promise one with tons of pictures will come soon. Wonder-Under [WU] is awesome for embellishing shirts, onesies, etc. etc. Until the awesome tutorial…here are basic guidelines — Iron WU onto fabric — Trace shape on to WU — Cut it out — Peel off the parchment-ish backing — Iron into place — To really secure it you are going to want to stitch it on. Here is the finished product! Why two hearts you may ask. And to that I would answer…You REALLY Need To Watch Doctor Who!! 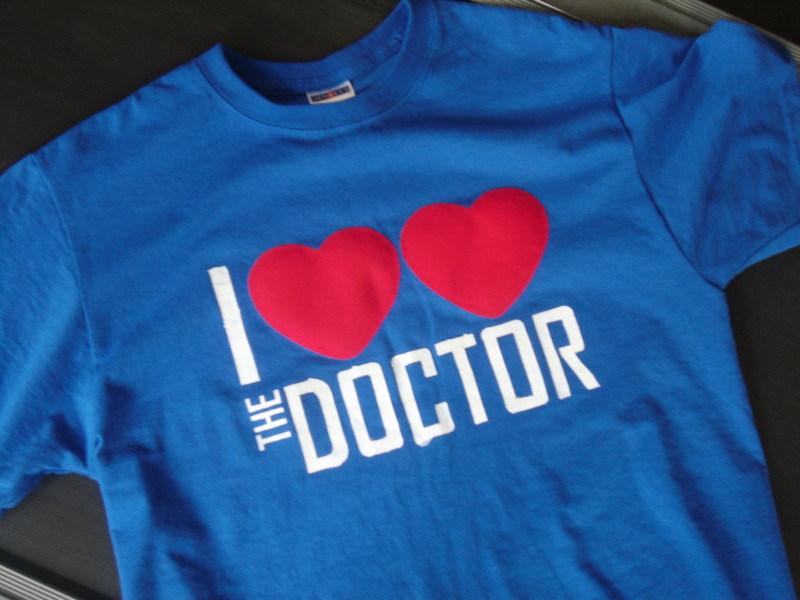 Also, it is because The Doctor is a time lord and has two hearts. Now seriously…go watch Doctor Who. P.S. This specific design is original, but the concept isn’t mine. 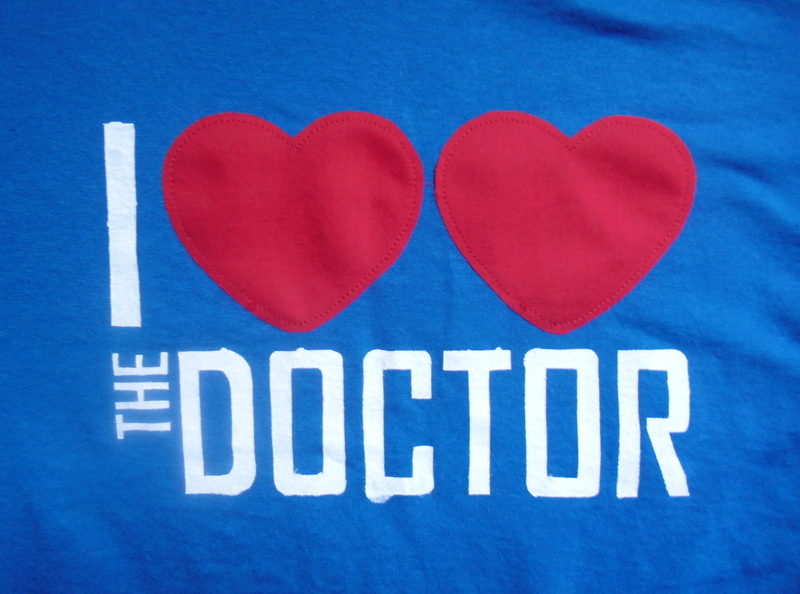 Thanks to all the I Heart Heart The Doctor shirts on Pinterest for the inspiration! Next: Next post: I Love It! I love love this 🙂 I might just need to make one myself!